Adorn Cosmetics Anti-Aging SPF 20+ Mineral Foundation is an award winning lightweight, yet full coverage mineral foundation with SPF 20+. It is both sweat & water resistant, and requires little to no need for touch-ups, giving a flawless finish that lasts all day long that will not clog your pores or accentuate fine lines or wrinkles. Suitable for all ages, and even the most sensitive of complexions, Adorn Cosmetics Anti-Aging SPF 20+ Mineral Foundation helps calm and effortlessly cover: pigmentation, psoriasis, scars, rosacea, bruising, blemishes, veins and even birth marks and are gentle enough to wear after cosmetic and facial procedures. The purity of our premium grade, highly pigmented, 100% pure minerals also means you will use much less product to achieve a perfect finish with Adorn. 1. Apply after using Adorn Cosmetics’s Hydration+ Botanical Infused Foundation Primer / Day Moisturiser, (or for more dryer skins try using facial oils) in thin layers by either lightly buffing, or for fuller coverage, apply by ‘pressing’ the foundation onto the skin to ‘build’ up to your desired coverage. 2. You want the fine hairs and pores of your skin to appear flat, so try and finish your application with downward strokes, or alternatively spritz over your makeup with the Adorn Cosmetics Organic Bulgarian Rosewater Mist for a more dewy, hydrated look. TIP: You can also spritz a cruelty free, vegan Kabuki Brush with our Organic Bulgarian Rosewater Mist before dipping it into the foundation to give an instant liquid foundation. Shade Selection: Find your personal foundation shade by applying a small amount along your jaw line in the cooler months and décolletage/chest in the warmer months; if it blends and there is no obvious lines, then it’s a perfect match. 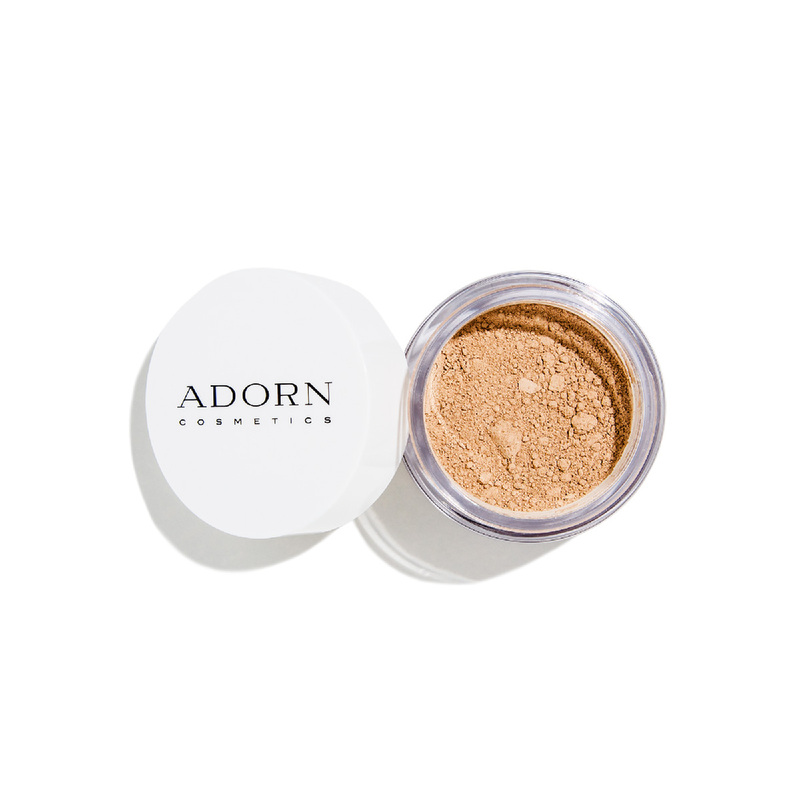 Adorn Cosmetics Anti-Aging SPF 20+ Mineral Foundation comes in a re-usable, deluxe jar with sifter & screw cap.